We love this little layer! It's a delightful cropped-length in front with a flattering curved hem, a few inches longer, in the back -- perfect for petite and short-waisted figures. 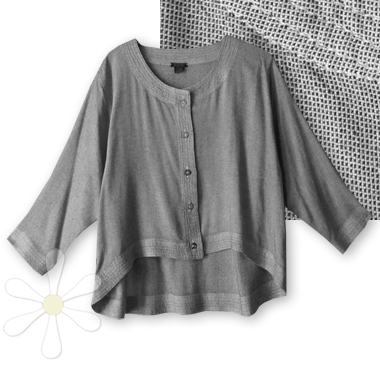 This one is in our exclusive light silver weave, woven from black and white strands in a teeny square dot pattern. Fabulous!